Will iBins spell an end to overflowing recycling sites? 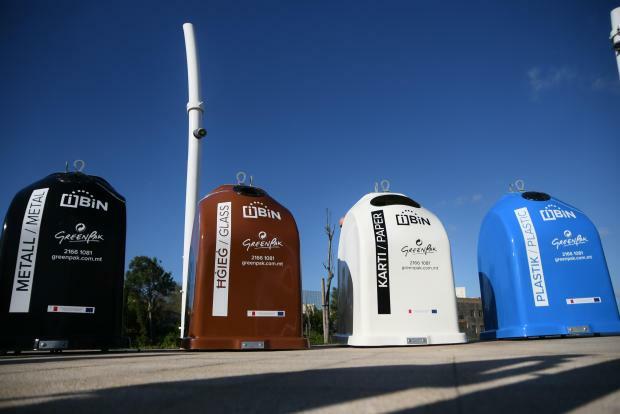 Recycling cooperative GreenPak on Wednesday started rolling out its latest bring-in site bins – iBiNs - equipped with smart technology that enable citizens to recycle 24/7 and could spell an end to overflowing bring-in sites. Using the so-called ‘internet of things’ technology, the iBiNs have the capability of monitoring waste levels and feed information back to a central system which enables GreenPak’s recycling service to prioritise and customise collection routes in the localities it serves across Malta and Gozo. The smart bins are enabled using narrowband Internet of Things technology powered by project partners Vodafone Malta. Addressing a press conference, GreenPak CEO Mario Schembri said that by the end of February the cooperative would have invested more than €600,000 to introduce a network of 800 bins with the smart iBiNs. The announcement was made in Pembroke on Wednesday morning, the first locality to have bring-in sites. Pembroke will now also be the first to receive the intelligent bins. “This is an exciting time for GreenPak and it fits right in with our vision to recycle anytime, anywhere. By providing the community with a reliable 24/7 service, households no longer need to wait until the designated day to take out their rubbish. “Our initiative is one of the first public service projects that uses the Internet Of Things on this scale in Malta and will take our waste management to another level. This is the way forward for a better Malta,” Mr Schembri said.